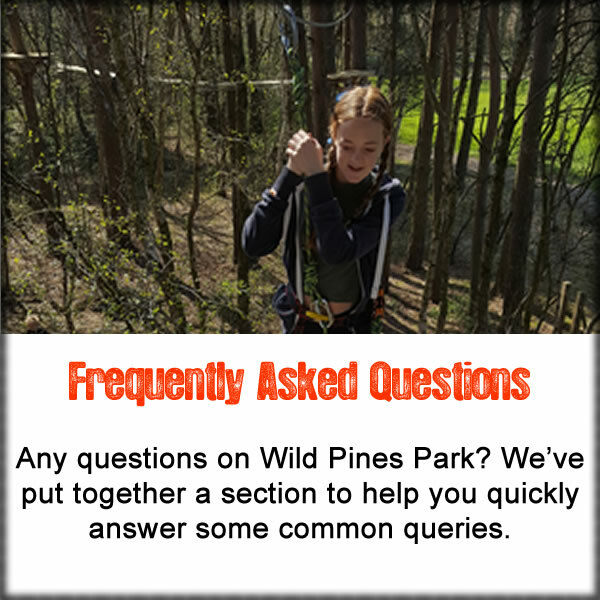 Wild Pines Park offers one of the largest ropes courses in the UK, with challenging and exciting activities for all ages. Situated in the beautiful woodland of Linwood Warren, Wild Pines Park near Market Rasen, we offer you the chance for a unique and adventurous day out in the trees. The site is open all year round so contact us now to see what we have to offer or even call in and enjoy the amazing woodland. It is a memorable experience in the trees. Whatever the occasion, a family day out, birthday party, school or college trip, Wild Pines Park has what you are looking for. Ropes courses, team buildings, archery, family days out, why not check out what we have to offer. We can't wait to show you! BIG Zip and Challenge Course! 260 more metres of high tree fun. 3 more zip wires, 20 more elements, over 10m high and includes our most challenging experience. The site is available for hire, we are open throughout the year closing completely for three weeks over Christmas. Our opening times are 10am to 4pm everyday during school holidays and 10am to 4pm Thursday - Sunday outside of school holidays. We will be closed to the public on a number of days for private events and maintenance until Easter. We look forward to seeing you soon!